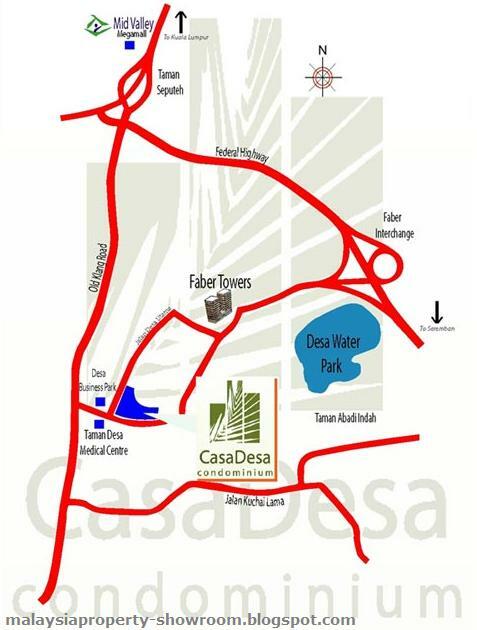 Casa Desa Condominium is centrally located at the thriving Taman Desa township in Kuala Lumpur, well-equipped public amenities, lush greenery surroundings and excellent location. Comprising of 7 blocks of low, medium, and high rise blocks, combined to a total of 410 condominium units, Casa Desa Condominium is a perfect example of practical and innovative architecture design planning layout. Facilities include Swimming pool, BBQ pit, Sauna, Children's playground, Gymnasium, Multi-purpose hall, 24 hours security, Surau, Nursery, Restaurant / Shop, Recreational room. casa desa duplex is really small esp the lower floors. i thought with 1280 sqf it will be enough. But was i wrong! the dining area and living area are really tiny. The master bedroom faces jalan desa utama. it's like staying in a unit facing a highway (even with all doors and windows closed). must experience it firsthand in order to imagine the level of noise here when one is trying to get some sleep. the only thing nice ... i dont have to take the lift to my car. But i really miss my previous condo unit. didnt have to worry about noise, mosquitoes, lack of space, lack of ventilation etc. really regret it. i mean Jalan Desa, not Jalan Desa Utama..
hayley , this is old condo right not the newly develop one. As i knew latest done will be Pappilon which is 700k onwards.